To take in and appreciate the overall feeling of a home, the tone is set the minute one steps onto the grounds. This entry and moving though the property conveys a lasting impression on the participant. It conveys what the home is all about, it’s character and how it coexists with the natural settings around it. It also reflects the personalities of the home inhabitants, their lifestyle choices, their stylistic preferences and the tonality of their intended use of the outdoor rooms created in the outdoor environment. The design professionals at IVY Studio pay a lot of attention to the property much like an architect creates detail attention to the front door of the home, setting the design tone from the exterior front door detail. Opening the door reveals a hidden treasure where form and function marry and burst with creative delight. 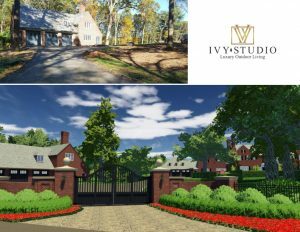 We are IVY Studio, a landscape design and build consulting firm in the metro Boston area. Contact us at 781-591-0300 or vern@ivystudioMA.com to let us make a lasting impression on your property.